Located in the East Midlands, Corby is a town in Northamptonshire around 90 miles outside of London. With a fast-growing population of over 60,000, there is a strong property market in Corby, and at My Home Move Conveyancing we have been enhancing our knowledge of local markets since 2002, allowing us to bring a specialist, fixed fee conveyancing service to our clients in the Corby area. Whether buying or selling property in Corby, you will require a lawyer to complete the legal work on your behalf. Take advantage of My Home Move Conveyancing’ award winning customer service and choose us to carry be your Corby conveyancers. We are innovative in our use of technology and hold knowledge and experience of the local market in Corby. 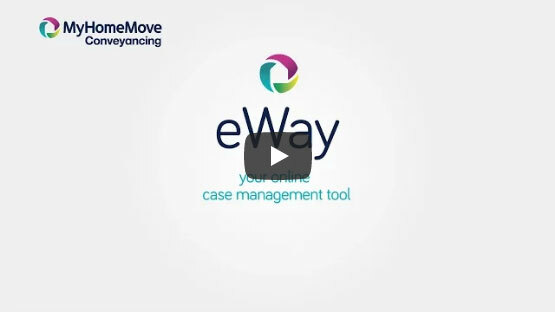 You’ll know exactly what you’ll be paying from the very beginning, as we charge a fixed fee for our conveyancing service, and if for some reason you do not end up moving, you won’t have to pay us anything. All of our clients are assigned a dedicated conveyancer, so you will have a point of contact who will keep you updated on the progress of your case from start to finish. At My Home Move Conveyancing we have used our experience of local markets to provide conveyancing services in Corby to homebuyers in the town itself as well as other local spots such as Rockingham and Weldon. The average house price in Northamptonshire is £159,696, while the overall average sale price in Corby during the past year was £145,883. Semi-detached and terraced properties sold in similar numbers, fetching an average price of £137,339 and £116,579 respectively. Detached properties also sold well for an average of £211,137, while flats went for £84,910. Corby’s local area has been a source of iron ore since Roman times, while the advent of the railways in the 19th century brought significant growth to the area. Nowadays it is a steadily improving and expanding town, with large swathes of regeneration underway. Lying approximately 90 miles outside of London, Corby is possibly on the outer reaches when it comes to being considered a commuter town, although there are workers that make the daily trip to the capital. Direct train services to London St Pancras take just over an hour, with this journey time certainly making Corby an alternative to closer towns in the commuter belt that come with much higher house prices. The A1(M) motorway passes to the east of Corby, while the M1 runs to the west, linking London in the south to Sheffield in the north, and four international airports - Birmingham, East Midlands, Luton and Stansted - are within two hours’ drive of Corby. There are some good schools in the area for families with children to ponder over, with primary options including Studfall Junior, Corby Old Village Primary and Beanfield Avenue’s St Brendan’s Catholic Primary. Among the secondary choices are Corby Business Academy, the Kingswood School and Brooke Weston Academy on Coomb Road, while the Corby campus of Tresham Institute of Further and Higher Education allows children over the age of 16 as well as mature students to study for vocational courses. All properties in Corby will fall within one of the following council tax bands.